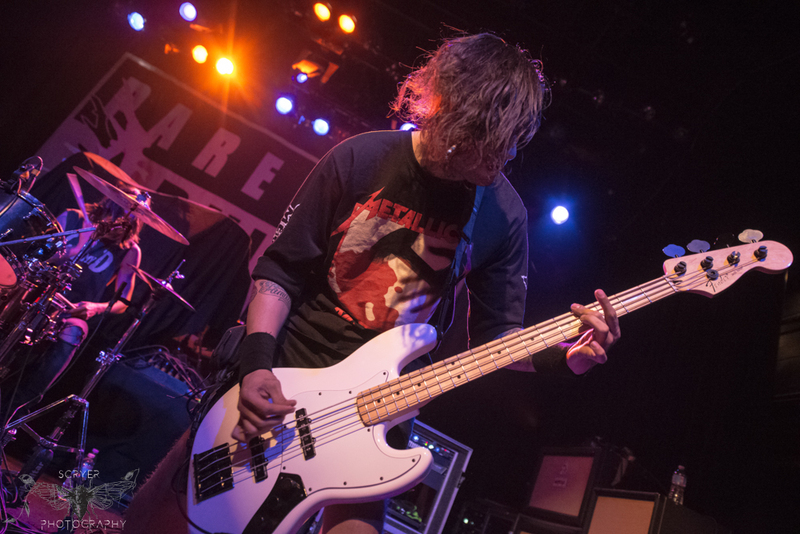 Louisiana bred nu-metal band Cane Hill laid down an aggressive performance at Irving Plaza on March 10, 2017 on the “Let’s Get Abducted” tour with headliners Attila. 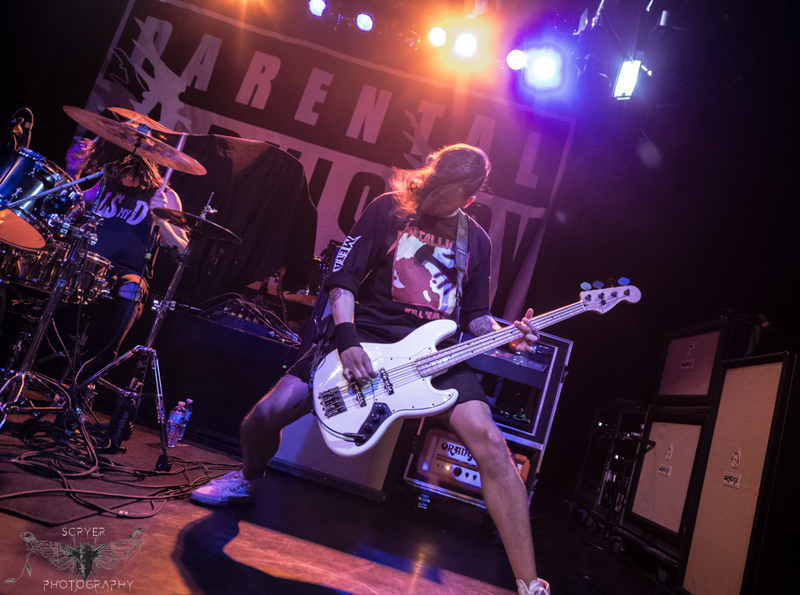 Bad Omens, New Year’s Day, and Vesta Collide were the other supporting bands on the tour. 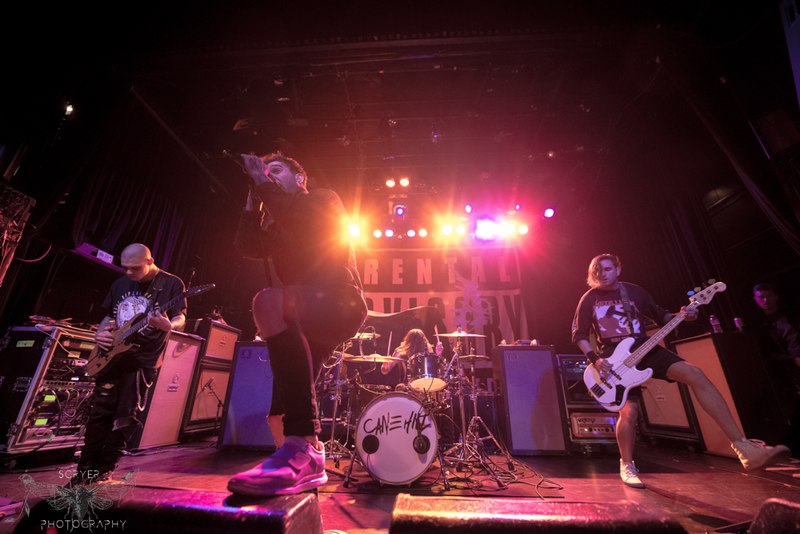 Since their formation in 2013, Cane Hill have given heavy metal fans a swift kick with their debut self-titled EP Cane Hill released in October 2015 and their full length studio album Smile released in July 2016 via Rise Records. 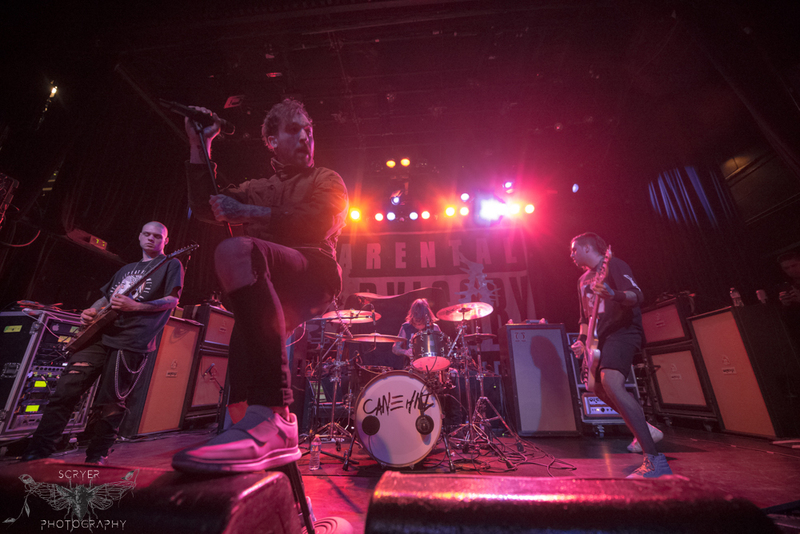 Throughout their studio releases, Cane Hill have hit the road with Bullet For My Valentine, Asking Alexandria, and Atreyu to name a few, as well as hitting the stage with Vans Warped Tour 2016. Cane Hill had a no B.S. approach when they opened their set. Described as “head bangin’, beer drinkin’, pot smokin’ metal”, these guys are an animal of their own in the nu-metal scene. Cane Hill are ferociously in your face during every song they perform live and there are no limits to what they’re capable of on stage. 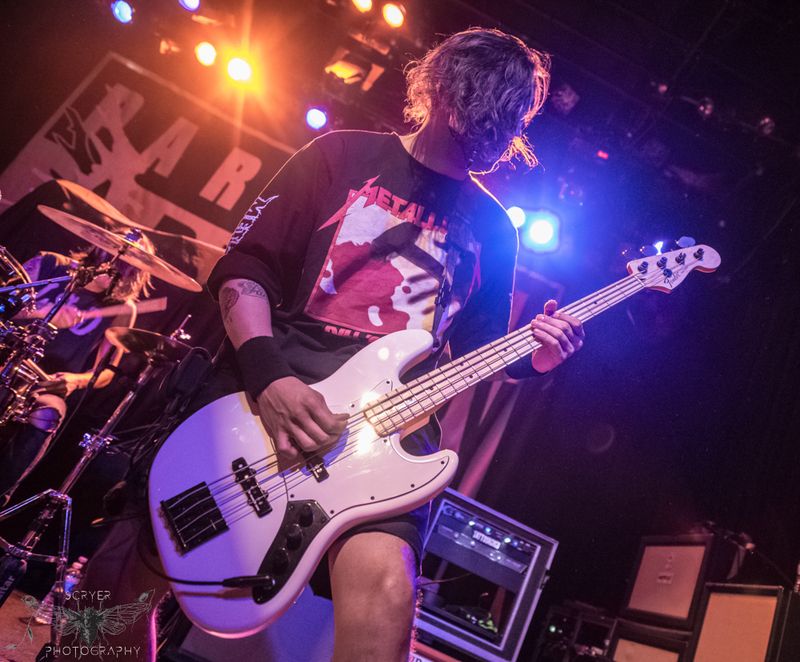 About three songs into their set, the crowd were able to place the combined influences of Korn and Slipknot with a lick of Industrial Metal in Cane Hill’s music and vocals. This happened to be extremely well received when fans began tossing themselves over to the stage barricade in waves. With every extended and impressive deep growl from lead vocalist Elijah Witt during a break down, the floor of Irving Plaza shook with jumping fans. With that followed the barbaric mosh pit that Cane Hill are known to incite. 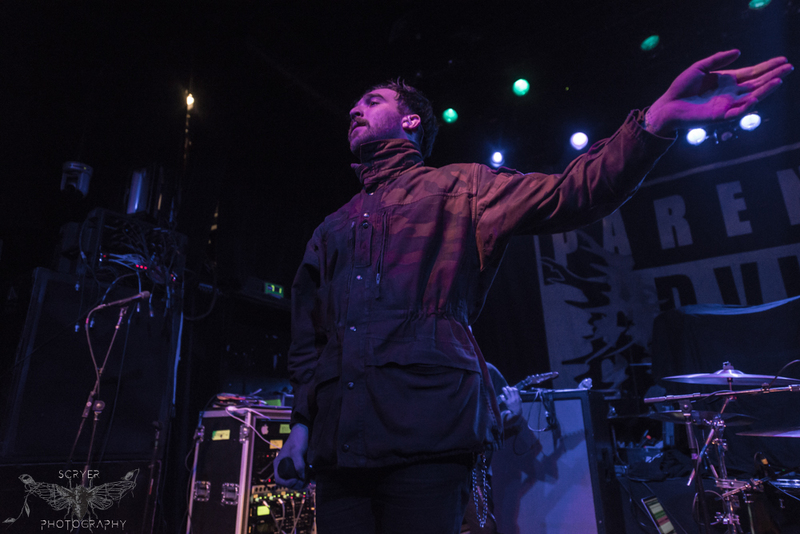 Nearing mid-set, Cane Hill had clearly received new fans, those who observed from the venue bar soon came forward to join what had then become somewhat of a moshing danger zone. A word of advice for anyone seeing Cane Hill live for the first time, have a thick skin in their mosh pits as they are a band that can keep their audience in motion for the entirety of their sets. It was awesome to see not only Cane Hill performing, yet partying with fans from the stage. 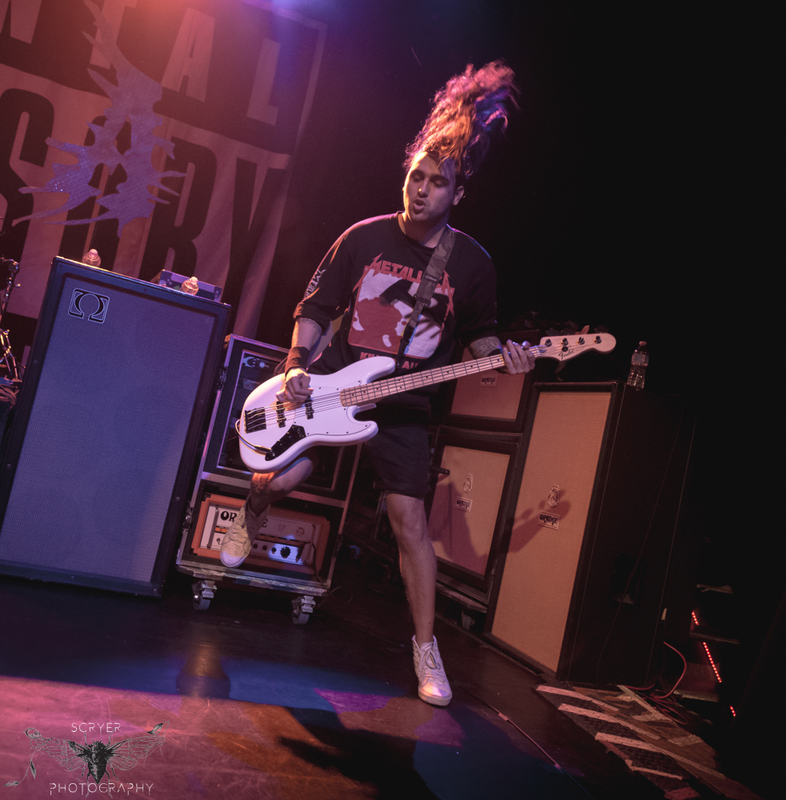 When guitarist James Barnett lost balance from jolting his body aggressively while playing, falling slightly into drummer Devin Clark’s drum kit, and then spitting at Witt (who spat right back at him), it was evident that Cane Hill have not let tour life take away from the band’s roots and purpose of why they perform the music they love. 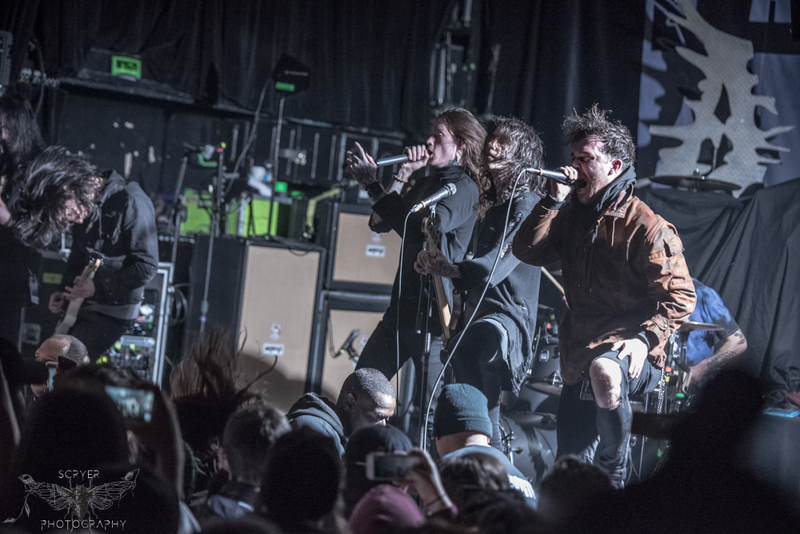 We thought we had seen the last of Elijah Witt on stage for the night until he reappeared to perform with Bad Omens during their single “Glass Houses”. Cane Hill represent that devil may care attitude that lies within Metal fans. They provide us with a familiar sound, yet memorable live performances that follow us from concert to house party speakers. Cane Hill will return to the stage on April 21st for 420 Fest 2017 in Ft. Worth, TX, followed by dates in July for Chicago Open Air 2017 and Rise Above Festival 2017. Cane Hill are in continued support of their latest album Smile which was released July 15, 2016 via Rise Records and can be purchased on iTunes here.